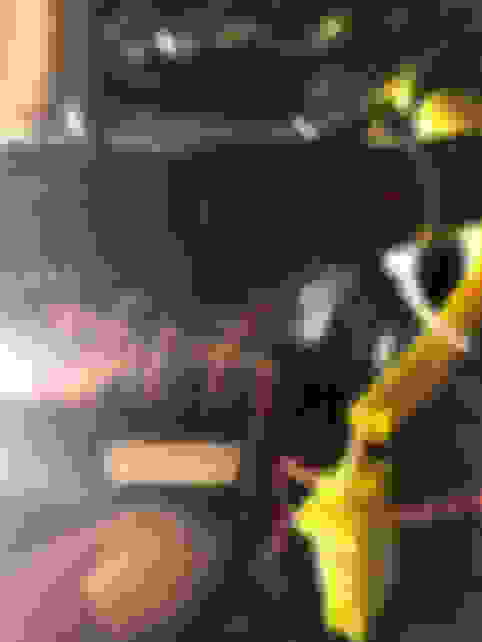 It's no broken links or anything. It's as if the pictures got deleted by the op. I don't know if that is the case or if there is a glitch. this is how i went about it. i will try to explain in detail as best i can, i didnt take as many pics as i should have to bare with me. 98-00 GS4 or 01-05 GS3 clockspring. mine was from a 01 GS3 also from ebay. some wire, and connector pins for the plug from the body to the clockspring. once you have that stuff off, look at the plug going into the clockspring that is black, you will see at the end there are 2 pins missing. you will need to salvage a few pins from a spare connector so you can hook wires up to these two. i had some subaru ecu pins laying around from another project and they worked fine. 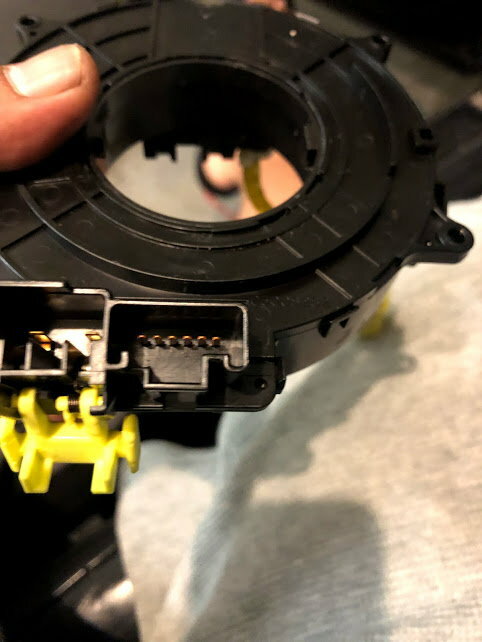 now if you have the airbag off and you look at the wires in the steering wheel, you will see the wires for the sport shift buttons, they are on the left side of the connector if its plugged into the clockspring. black is shift down, white is shift up. on the connector you will be pinning, shift down will be at the far side of the connector in the empty slot, and shift up will be right next to it. now since i have an aristo swap like you do, your immobilizer for the chipped key does not work anymore. this is perfect because at the transponder key amplifier there are wires that run from the ign switch area, right out to the ecu already. 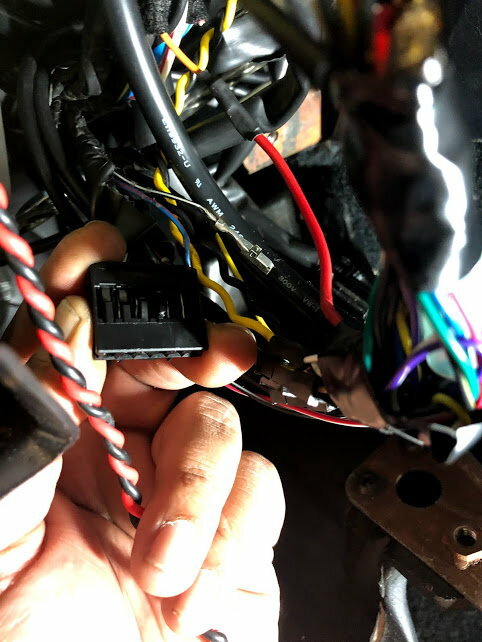 find the plug for the transponder amp, its right below the back of the ignition switch, 6 pin flat connector black in color. 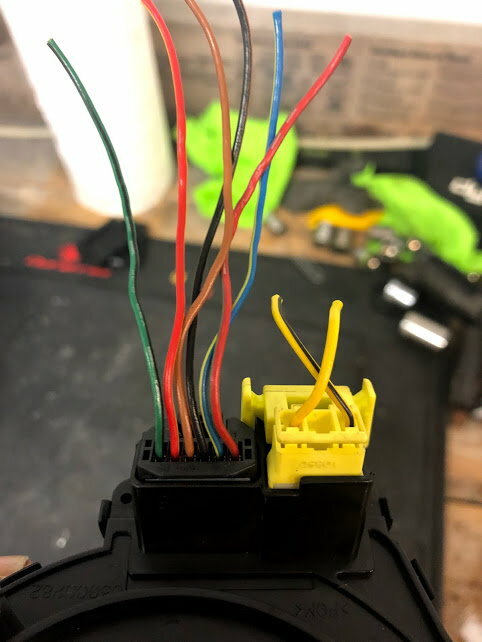 the two wires you want to mess with are blue/red and black/white. i hooked the black/white one to the far pin i put in the body-clockspring connector, which means that wire will tell the trans to shift down. 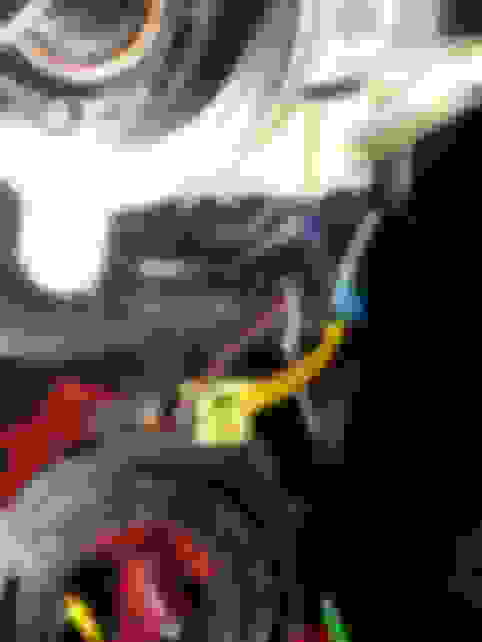 as you might have guessed, i hooked the blue/red to the pin next to it to shift up. i de pinned those two from the transponder amp plug and soldered the extension wires from the body-clockspring plug directly to them, and heat shrinked them. these next two pics will pretty much explain where you put those two wires after you de pin them from the gray connector. black/white (downshift) wire goes here. 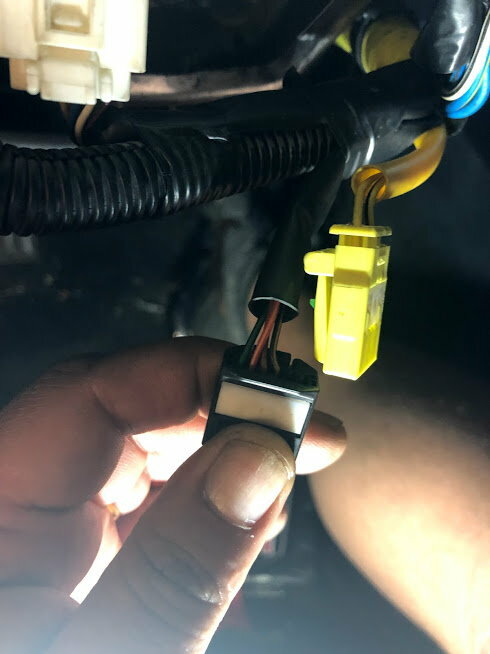 this is the 2nd plug on the ecu if you are looking at it from the front of the car. the pins dont fit exactly, you will have to mess with them to make them plug into the white plug, or you can simply cut them off and solder on the correct pins from a donor plug. i just fiddled with them till i was able to jam them in, because i wasnt feeling motivated enough to find anymore ecu pins tonight. 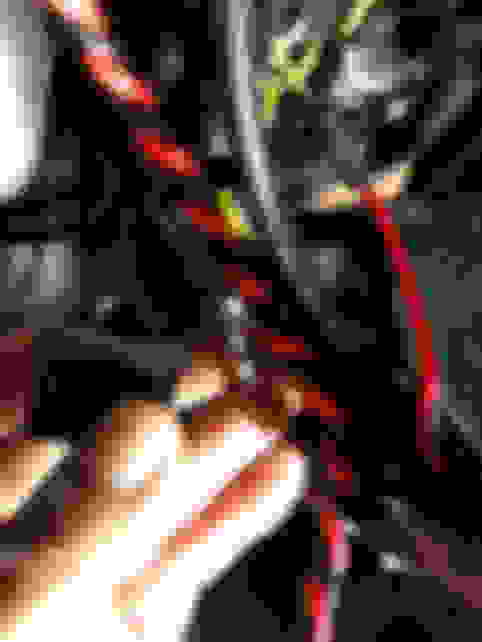 blue/red (upshift) wire goes here. same connector, i did the same as the other one and just shoved it in. she liked it. 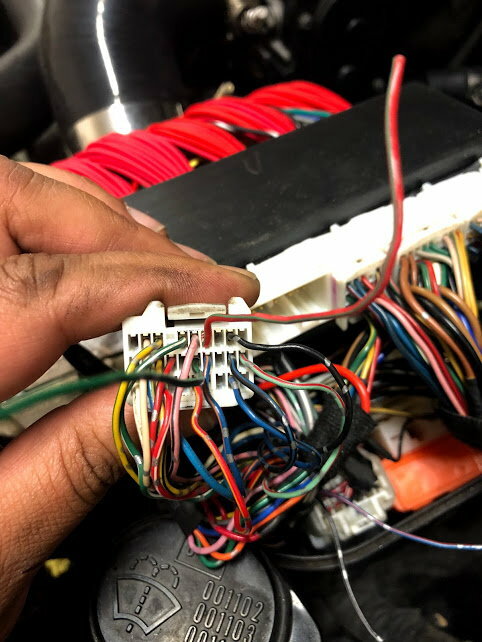 thats it, providing you didnt mess anything up, you will now have manual shift control over your trans when you put your gear selector in the "4" position and "3" lights up on your instrument cluster. i assume this happens because our clusters and shifters are for a non sport shift 5spd auto instead of the 4spd we now have. 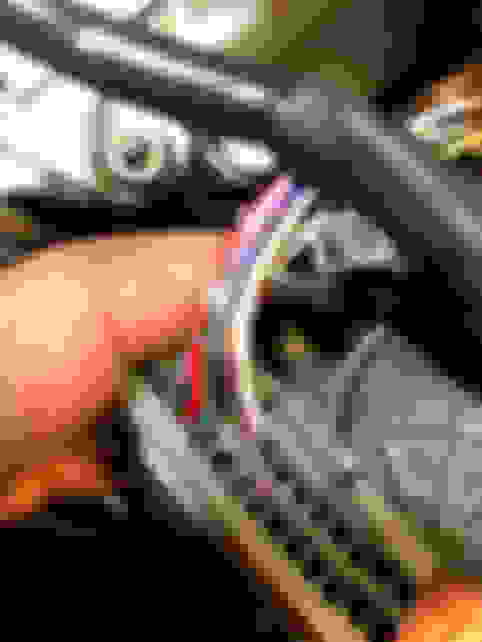 i am going to borrow the cluster from my buddies GS4 with sport shift and see if the gear indicator works to tell you what gear you are in, IE 1-2-3-4. im not sure the GS3 is wired for this, or if the ecu can talk to the cluster to make this work, but i will report back when i get a chance to try this! for now, im just counting gears and loving my sport shift! if you get in over your head feel free to PM me, and if there is enough demand ill take my dash back apart and get some more pictures. 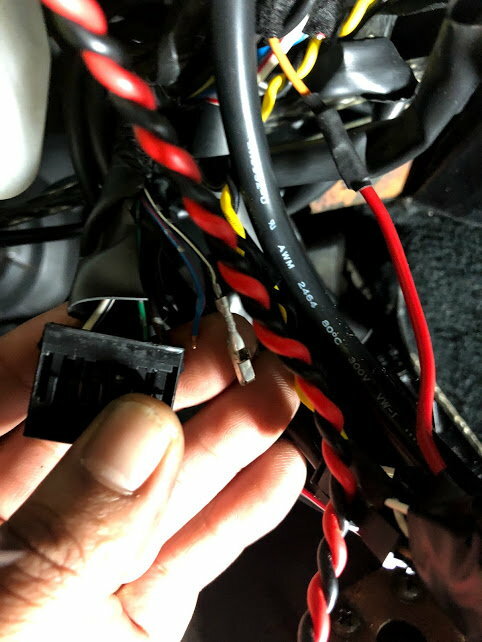 make sure your shifter wiring is correct. the car needs to know that its in manual mode "4th gear" before manual mode works. So i was able to successfully do this and I took pics. had extra pinouts laying around that I put into the correct spots on the plug. I connected the black/white wire and red/blue wire to these two but forgot to take pics. I hope this helps. Feel free to message me if I confused you in anyway or if you need some assistance. I am able to shift all the way down to 1st and hold it. It feels great.